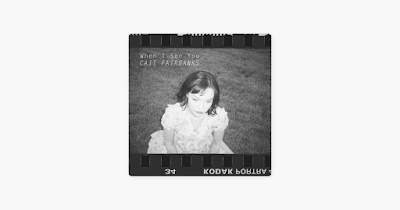 When I See You is a single by Cait Fairbanks that was released on April 17, 2019, through CatBeach Music. The track was written by Fairbanks, Daena Wienand and Robert Hartry. Lyrically, When I See You is a guitar-driven song that talks about the singer unleashing her sensual side with her lover. I love how Cait's guitar fits the theme of this song. The lyrics are so relatable and, in my opinion, this is the perfect love song for anyone who is in love with the special someone in your life. I definitely recommend that you give this song a listen for yourself. If you don't, then you're going to regret it. 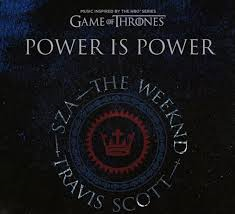 Power Is Power is the third single from the Game of Thrones album For The Throne that was released on April 18, 2019. The track features R&B singer SZA and rappers The Weeknd and Travis Scott. Lyrically, the title is a reference to a scene that took place in the first episode of the show's second season. It starts off with Littlefinger telling Cersei Lannister "Knowledge is power", which she responds to him with the saying "Power is power". There is also a possible reference to the motto of House Stark of Winterfell, one of the Westeros' main families on the show by Travis Scott. Here is my take on Power Is Power. This song was surprisingly good when I first listened to it on Spotify. I love that the theme centers around the characters' perspective from each artist. The Weeknd singing about Jon Show's point of view growing up with the winter wolves, SZA singing from Cersei's perspective and Travis ending the track with his take on the role of the Night King. If you have been a fan of Game of Thrones for about eight years now, then you definitely check out the final season of the show. But, if you haven't watched the show from the beginning, then I suggest that you binge-watch every season of Game of Thrones. That's if your eyes can handle watching all of those episode within so many hours at a time. So, if you miss out on Game of Thrones, then it's on you. Anyways, don't miss the final episodes of Game of Thrones on Sunday at 9pm on HBO. You can also pre-order the Game of Thrones soundtrack For The Throne, which is expected to be released on April 26th. 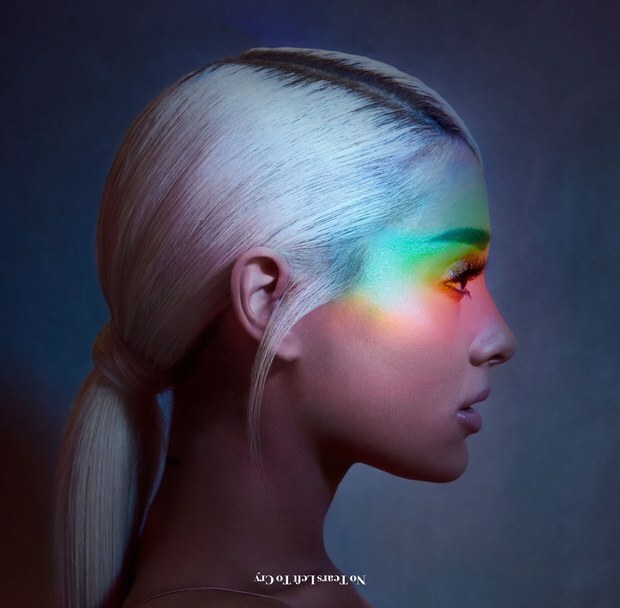 On April 20, 2018, Ariana Grande released her comeback single No Tears Left To Cry from her then upcoming fourth studio album, which was later revealed to be Sweetener. This song has helped Grande get come back into the music again especially after the rough year that she had in 2017 with the Manchester bombing for her Dangerous Woman Tour. Then, Ariana went back to Manchester and held a benefit concert titled One Love Manchester for the victims and the lives that was gone too soon from that fateful night at her concert. Once the Dangerous Woman tour has wrapped up, Grande decided not to record any new music. She instead wanted to spend more time with her family and friends after the emotional impact that the tour had on her. But after several months of silence on social media, Grande unveiled the cover art and snippets of her new single titled No Tears Left To Cry that would be released on April 20th. The song peaked at #3 on the Billboard Hot 100 and make Grande the first artist to have the first singles from each of her albums reached the top ten. The music video was released on the same day and has since received over 780 million views on YouTube. Every time that I listen to No Tears Left To Cry, it gets to me because I feel like I can hear Ariana's personal story in this song and how she was able to live her best life after that. It is one of my favorite songs by her so far. 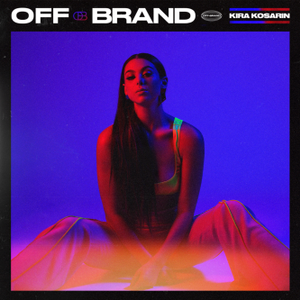 Off Brand is the debut album by singer and songwriter Kira Kosarin that was released on April 10, 2019, through AWAL. You may know Kira as Phoebe Thunderman from Nickelodeon's The Thundermans, but she would prefer that you forget that she was a teenage star on a kid's TV show and just simply listen. Off Brand is an R&B album mixed with hip-hop music. This is where Kira finally lets loose and ready to show the world a different side of her. Lyrically, 47 Hours is about an ex who is trying to win back Kira's heart, but she turns him down each chance that he gets. So why you go askin for pics? Baby, won’t you say it to my face? Love Me Like You Hate Me is where the singer explores her sensual side with her man on the pre-chorus with. You ain’t even gotta say "Excuse me"
Why you still standing there? I just love Kira's album Off Brand. The lyrics, the production and the songs were all certified bops to me. The way that she makes R&B sound so good with her soulful voice is amazing. 7 rings (stylized in all lowercase) is the second single from Ariana Grande fifth studio album, Thank U, Next. It was released on January 18, 2019, through Republic Records. The song is described by the singer as a "friendship anthem" and that it was inspired by a trip to Tiffany's where Grande bought seven matching rings for her and her friends. She also uses another interpolation in 7 rings, but this time with a song titled Gimme The Loot by The Notorious B.I.G. 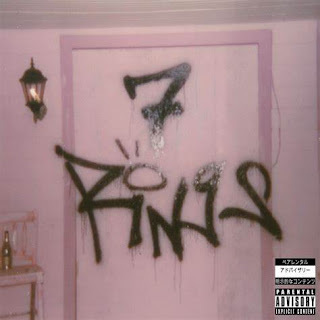 Here is my take on 7 rings. I thought Grande did a good job in showing off her rapping skills for this single. I love the fact that she challenged herself into taking on hip-hop and trap music for the track. I also recommend that you watch the music video for 7 rings because it had been described as "colorful" and "super fun". 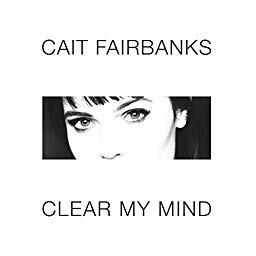 Clear My Mind is a song by Cait Fairbanks that was released on April 7, 2019 through CatBeach Music. It was written by Fairbanks, Daena Wienand & Robert Hartry. Lyrically, the song is about Cait reliving all of her past mistakes. But then, she realizes that her lover is the only person who can help her "clear her mind". I absolutely love the emotion of Cait's voice in this song. And the meaning behind it all is so beautiful and touching at the same time. 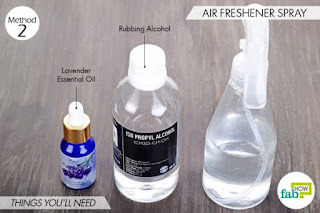 Did you know that some air fresheners contain harmful chemicals? Seriously, it's true. When you spray any air fresheners in your home, the harmful chemicals from it can actually enter into your body when you go to breathe. That's not good. 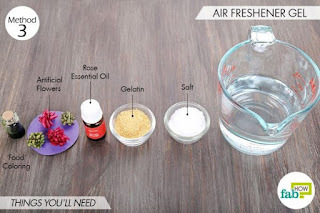 Luckily, I've found 4 Natural Chemical-Free DIY Air Fresheners on FabHow.com that you can make for yourself. Tip: You can make multiple jars and put one in every room to keep your home smelling fresh, fragrant and inviting. 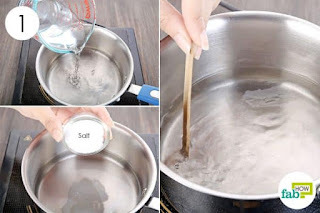 This DIY air freshener will last about 1 month, just shake it up after 10 to 15 days if the aroma is fading. 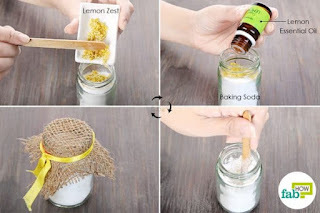 Tip: Place it in any room of your choice to give it a tangy, tropical scent. This DIY air freshener will last about 1 month, just shake it up after 10 to 15 days when its intensity fades. 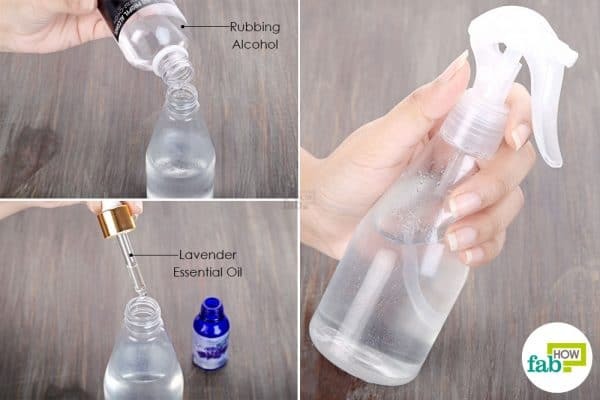 Pour 1/2 cup of distilled water into a empty spray bottle. 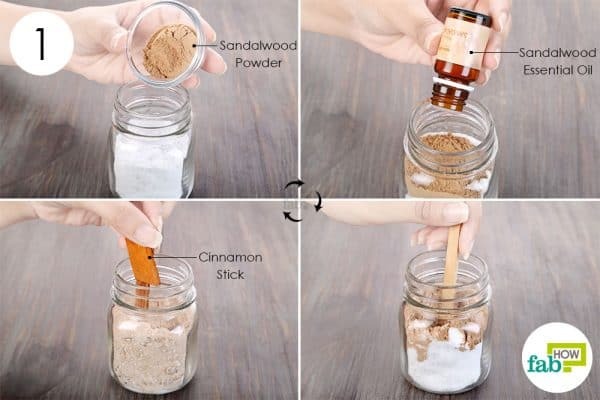 Using a medium-sized bottle, fill it about halfway. 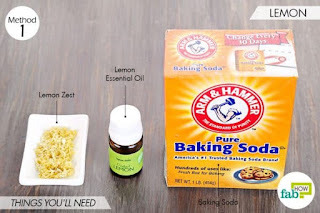 Add 1/4 cup of rubbing alcohol. If you don't have rubbing alcohol, you can use vodka instead. Tip: You can spritz this air-freshener spray where needed to banish foul or musty odors from your home. 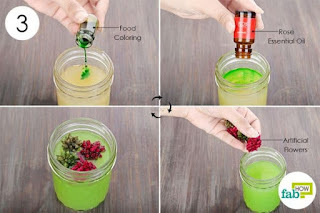 After pouring the gelatin solution into the glass jar, add 1 to 2 drops of food coloring, You can use any color of your choice, just start with a small amount and add more if you want a deeper shade. 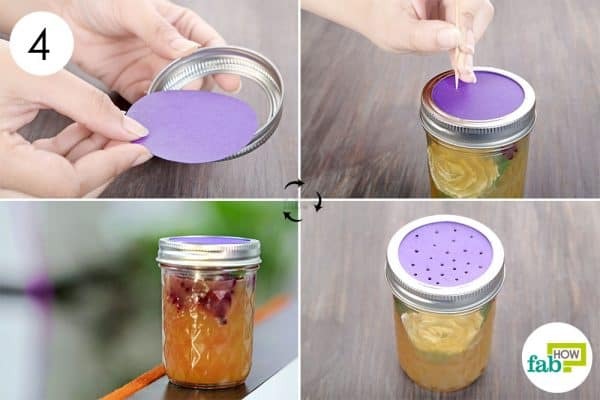 Your DIY gel-based air freshener is ready for use. It will last you an entire month. 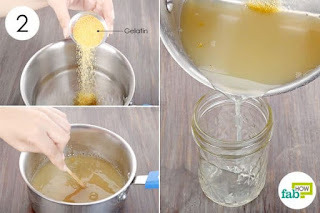 Dry the flowers of your choice for at least 1 week to eliminate all moisture. Fill an airtight jar with the dried leaves, flowers, and petals. Add 10 drops each of rose and lavender essential oils. Screw on the lid and leave the jar alone for 7 days. This will allow the dried flowers and leaves time to absorb and infuse the scent of rose and lavender with their own. 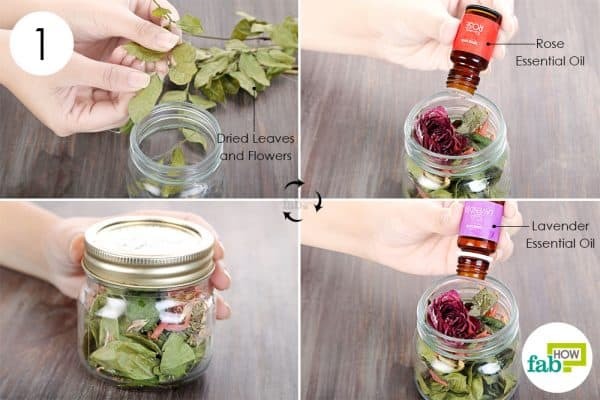 After 7 days, remove the scented dried flowers from the jar. 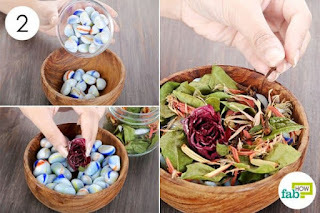 Depending on the size of bowl you’re using, you can put marbles at the bottom so that the potpourri sits nicely on top. Arrange your potpourri to create a beautiful display. 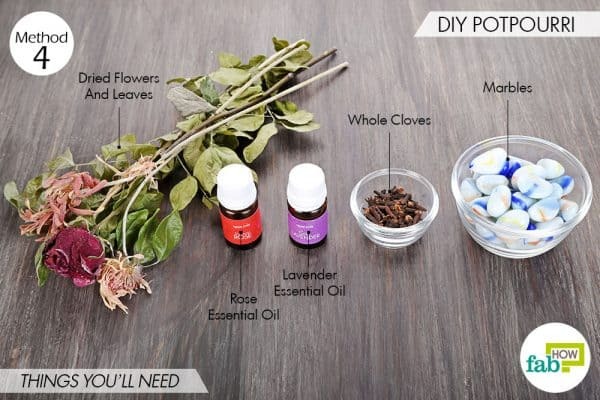 Optionally, add 10 to 15 whole cloves to add a sharp, spicy edge to the floral potpourri. 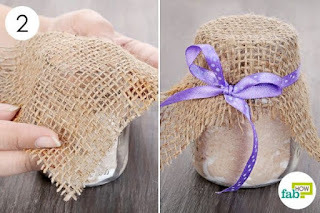 Place it in the room of your choice to keep it smelling fresh, floral and fragrant. This DIY homemade potpourri will last at least 2 to 3 weeks. You can keep adding the fragrant essential oils to make it last longer. Another simple way to keep your home smelling great is by burning fragrant incense sticks. Just be sure to keep them away from flammable materials. 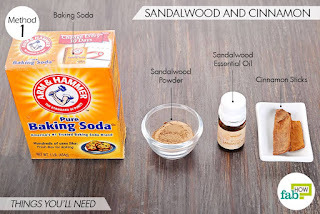 You can eliminate musty odor from an unused room by opening up all the windows and doors to let fresh air and sunlight in. 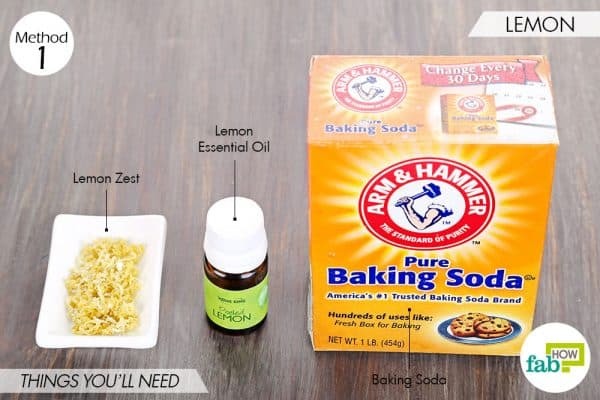 Apart from making DIY air fresheners, you can also use baking soda to get rid of odor from your refrigerator.